The show is pitched as an anthology series, so if it gets a second season it will feature all-new characters and plotlines. Original Heather Shannen Doherty is part of the cast, as is Selma Blair. You can watch the red band trailer (which isn’t exactly promising) for the show below, and you can stream the whole first episode on Paramount Network’s website. This year marks Heathers‘ 30th anniversary. 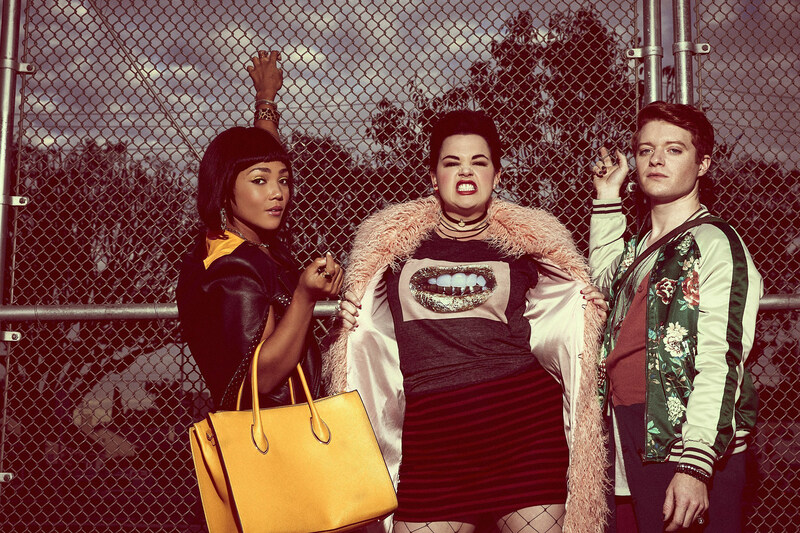 In related news, the musical version of Heathers (which ran off-Broadway in 2014) is coming back…as a one-night, two-show performance at Feinstein’s/54 Below on March 26 at 7 and 9:30 PM, as part of their Musicals in Concert Series. Tickets are on sale. If you’re heading to SXSW this year, Paramount has partnered with Pitchfork for a Heathers-themed day party on Friday, March 16 at Barracuda with Kelela, Kevin Morby, Shamir, Andrew W.K., Porches, Ought, Snail Mail, Nilüfer Yanya, Lucy Dacus, JPEGMAFIA, Superorganism, and Topaz Jones. It’s free, 18+ and open to the public. No word on whether there will be croquet and corn nuts. We will be at SXSW, too, with BrooklynVegan and Margin Walker present: LOST WEEKEND 2 at Cheer Up Charlies from March 15 – 17.